I´m a little late again because I´m still worn-out from last week´s Comics-Festival in Munich. As usual it was a blast! It´s always great to meet all the other cartoonists and of course the readers of my comics. Some even follow this blog, like Robert from Stuttgart. Guess what he gave me? 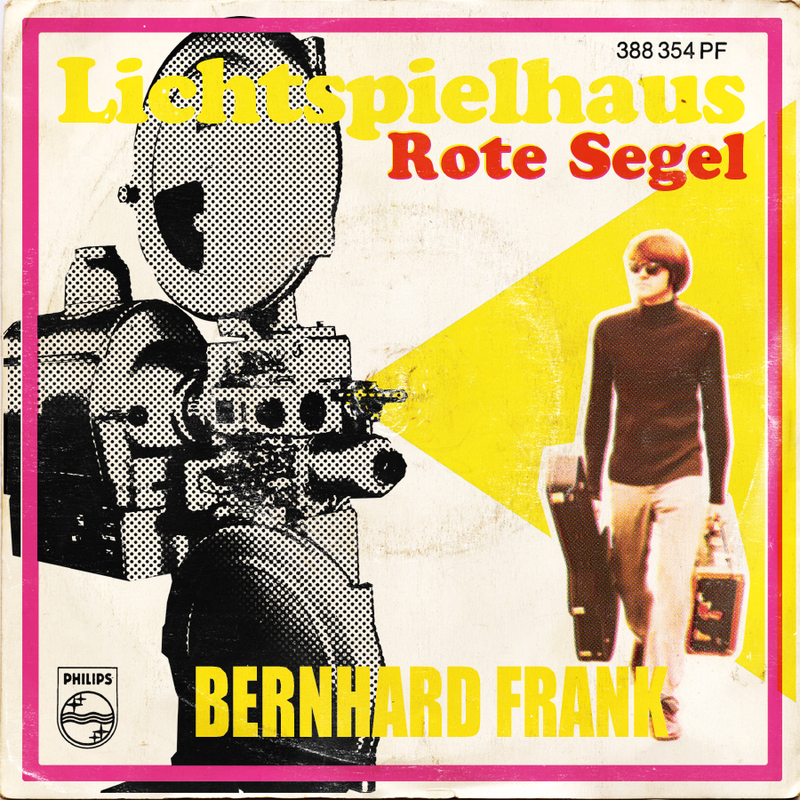 Another Bernhard Frank single! Robert bought it at a flea-market and didn´t even like it that much. Thanks a lot Robert! I think it´s a great record! Amazingly the guy only wrote great songs!!! This one is a little more on the Pop side but still the Rocker shines through on both songs. Lichtspielhaus is about going to the movies with your lover. A great rockin´ up-tempo Pop song. I think I like the b-side even a little bit better. A mid-tempo song with a big Beatles influence. Rote Segel (im Sonnenuntergang) translates to Red Sails In The Sunset but it´s a completely different song. Much better than the famous one. Beautiful. I love it! 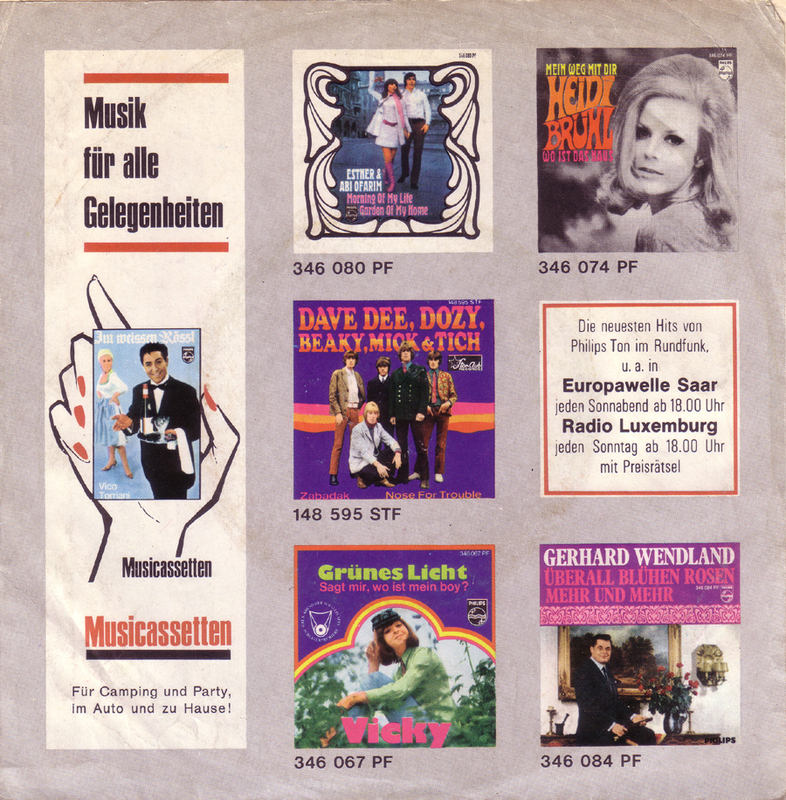 By the way, if you like these songs, Michael over at the (60´s)Mostly Uncomped Blog just made another nice Beat compilation including the other Bernhard Frank songs I posted here and here. You can download the whole package and a bunch more he collected easily with a mouseclick. Good job, Michael! 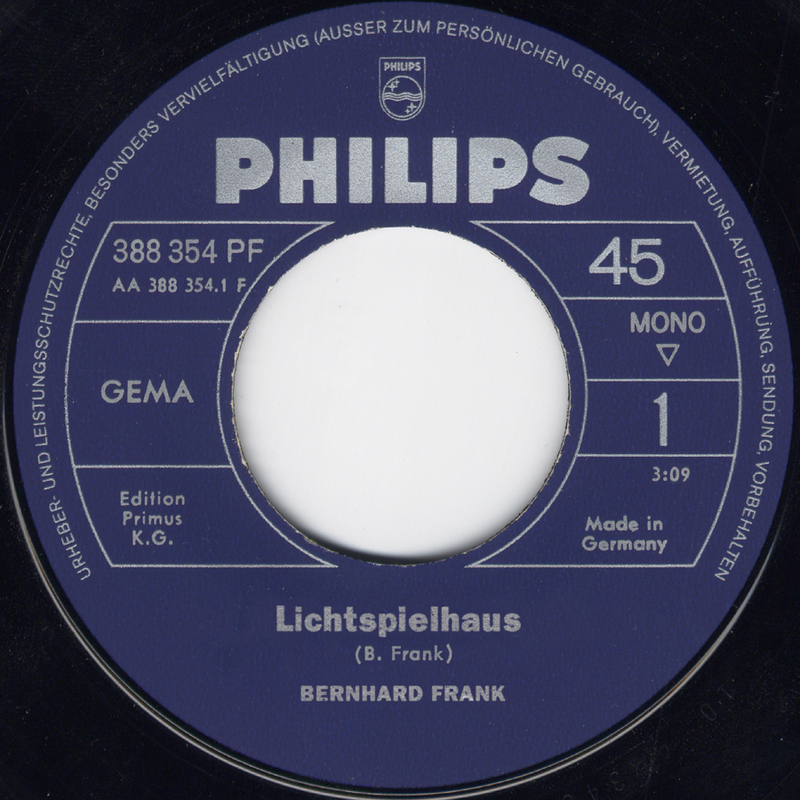 So apparently Bernhard Frank got a break with Philips but so far I couldn´t find out anything about him. I`m sure sooner or later some information about him will surface. This is great stuff!!! 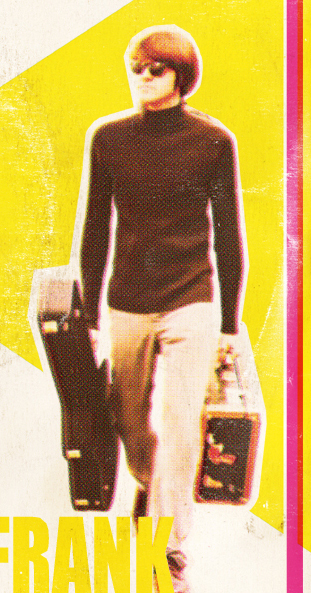 I have this Bernhard Frank 7″ in my record collection too. Found it in a second-hand record store in Munich in the early 90`s. Sadly witout a sleeve. Great to finally see it. Nice to read and hear all this music on your blog.